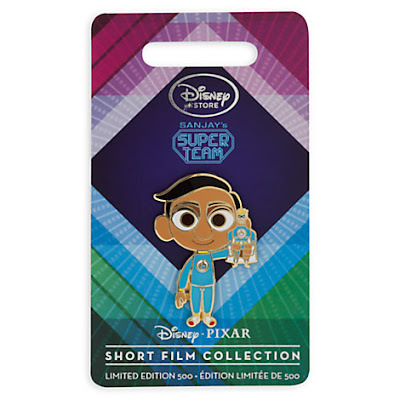 The Disney Store has released a few items for the upcoming short Sanjay's Super Team (paired with The Good Dinosaur). 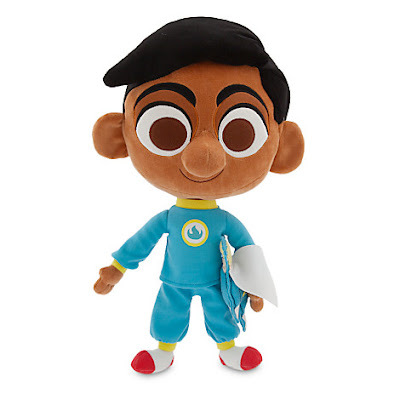 The adorable plush features Sanjay holding one of his superhero pals and is 16". If you happen to be a pin collector, a Limited Edition (of 500) Sanjay's Super Team pin is also available. 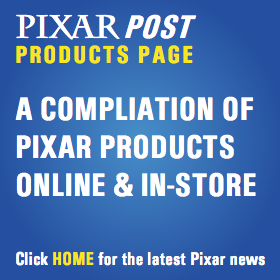 Click any of the images below to view that item directly on the Disney Store site. Read more news about Sanjay's Super Team and The Good Dinosaur visit our homepage.